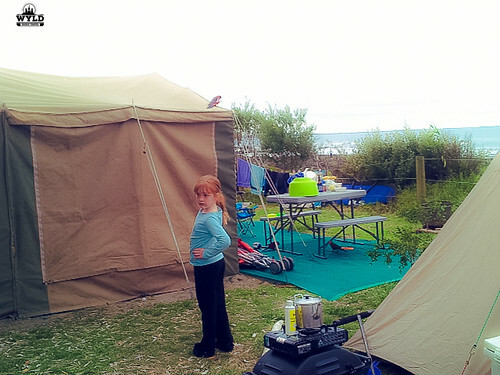 To me, it seems, that lately there has been very little regard to dangers that camping in the bush can impose. People are leaving campsites filthy and with dying embers in a fire pit. This is a massive no-no, especially with a hotter than normal summer looming. 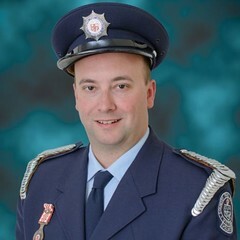 I decided to try and help get the message out there I would sit down with our friend Captain Dave Giles from the Maffra Fire Brigade to get some ideas from him on the best way to stay safe in the bush. 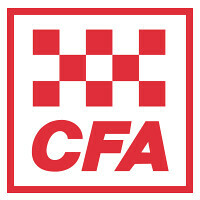 Just for a start, the Maffra Fire Brigade is a part of the CFA (Country Fire Authority). Like the majority of fire brigades in Victoria, it is a fully volunteer brigade and has been servicing the community of Maffra and surrounds for over 100 years and is still going strong with over 80 volunteers. For a town’s population of around 7000, I think this is a fantastic amount of people sacrificing their time to protect our towns. This brigade answers the call to 3 or more fires or incidents per week (around 120-130 calls per year) and during the summer months can be out fighting the same fire threatening townships for days on end. Maffra is a Class 4 Urban Brigade, which is one step below the large career stations – making it a fair sized brigade with 5 fire fighting vehicles in total. They have two 4wd bushfire tankers, 1 urban pumper, 1 specialist salvage vehicle that incorporates hazmat, breathing apparatus, lighting, communications and rescue and one support ute that is used as an incident control vehicle and general duties. The jewel in the crown is the brigade’s 1928 Graham Brothers bushfire tanker. This truck was the brigade’s original bushfire tanker and is still in use today for displays etc. Although some equipment is provided by the CFA the Maffra community has fundraised for the majority of the equipment that services our town when needed. There are also other smaller brigades in nearby towns of Heyfield, Tinamba, Stratford, Newry, Boisdale, Valencia Creek, Sale and Briagolong who join forces to fight fires together when needed. In the summer months, we get plenty of people up in the mountains. Most Aussies will contest to loving a good night by the campfire with friends or camping to get away from the hustle and bustle of normal life. Most people are respectful of the bush and will only leave footprints rather than a week’s worth of rubbish and a dangerous not fully extinguished fire. 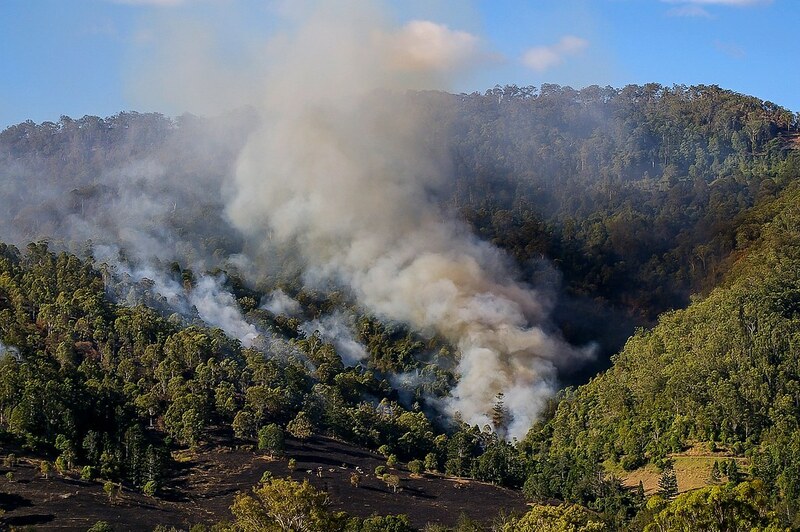 Lightning strikes are a very common reason for bush fires but unfortunately, arson seems to be a growing reason. 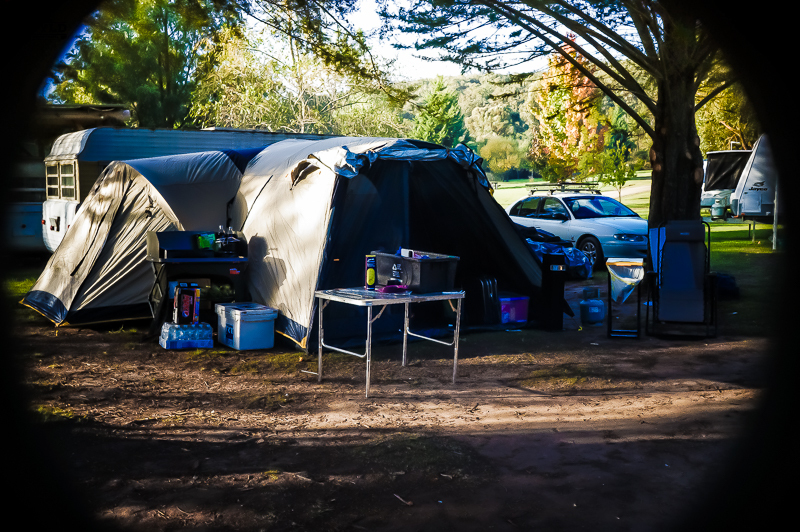 Escaped campfires are also becoming an increased risk with people ignoring total fire ban days or leaving a campsite with members not properly extinguished. A fire pit must be cold to the touch before it is safe to leave. While talking to Captain Dave, he gave us some pointers for people visiting the high country, camping and some general safety information every Aussie probably needs to know. 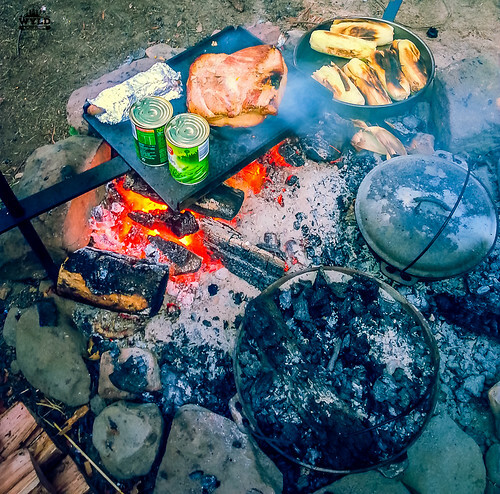 If you are camping, stopping into the local shop can be a valuable tool to learn if anything has been going on in the place you are heading to. Locals can give you tips on what the local terrain is like. They will also know where the local emergency assembly points will be in the case of an emergency. The internet is an invaluable tool for doing fire safety research before you leave home. 2: Know your total fire ban district. This does not only go for campers but for everyone, including those of you in town. Talk it over with your family and come up with a plan. Visit http://www.cfa.vic.gov.au/plan-prepare/ to download a plan pack. Will you leave early on a catastrophic fire ban day or will you stay to defend? If you are visiting a region where will you go and how will you get there? Know your area. If you’re not sure, you can contact your local CFA for help. Being prepared is definitely a good idea as the fire season in Australia is now starting earlier and earlier in the year. If you are off camping having extra supplies of water, food and any other essentials are being prepared. For people at home in at-risk areas having a box with essential documents, medication and any other items of value will help you leave your property in an orderly fashion. 6: Know what is a fire ban day is. According to the CFA website, total fire ban days are ‘declared by CFA on days when fires are likely to spread rapidly and be difficult to control’. CFA declares the fire danger periods by the municipality during periods of increased fire risk’. The rules and regulations are very complex so I suggest that you go to www.cfa.vic.gov.au/can to get all the complete and up to date information. Fire authorities and Victoria Police are now taking a zero tolerance approach to illegal fires – criminal charges will be laid against you if you get this wrong so make sure you read up, particularly the ‘Can I or Can’t I’ information on the link above. Dave has said that the most important thing is having a fire plan. Know your plan and all family members must be on the same page when it comes to what to do. The CFA is there to help people but it is also your duty to help them as well. You must make sure the CFA is able to gain access to your property safely, as the trucks they use are huge and need good access and a large area to turn around in. As an example, Maffra’s biggest bushfire tanker is approximately 7 metres long, 3 metres wide and 4 metres high. It weighs in at 15 tonnes and has a turning circle of 35 metres. If your property or campsite is hard to get to the CFA cannot put their members in any more danger than they need to be – will it fit through your gate or down your driveway? And can it turn around if it does? Your fire plan can be as simple as ‘leave early on a high-risk day’ to being as complex as being fully prepared to stay and defend your property. You have to realise that you will probably not have a fire truck helping you – in a severe bushfire situation there is too much fire and too few trucks – fire trucks are directed to a central control room and in most cases won’t be assigned to individual properties. As a result of the Linton Tragedy in 1998, all CFA trucks are fitted with extra safety measures to protect the crew and truck. It still comes down to the choices of the crew leaders on the move to keep the vehicle and people safe. You have to remember these brave men and women are fighting fires as volunteers to protect or communities, not for a personal profit. You can find a great information pack to help you develop your fire safety Australia plan here: http://www.cfa.vic.gov.au/plan-prepare/ and of course you can ask your local CFA for help to put it together.